Being a teacher I love bringing thematic learning to my classroom. This time of the year is tough, major holidays are over and spring is just around the corner but winter clothing still needs to be worn. 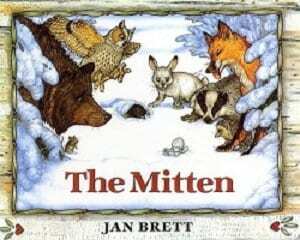 During this time of year I would bring out my mitten unit for my primary students. One of my favourite characteristics of the book are the illustrations. There is the main story within the pages of the text, but then there is a second story going on within the frame of the illustrations. I would intentionally not tell my students about the second story. Listening to their squeals as they discovered the secret story is an amazing experience as a teacher. To further the learning I have added a couple of activity pages to do at home with your little ones. 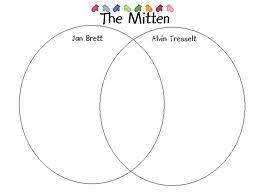 This is one of the best YouTube videos of The Mitten, I have used it in my classroom many times! LOVE this story/book so much! It’s a classic! We love this story! 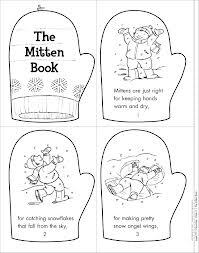 Just the other day, my girls were having a sleep over with some friends and they decided to play The Mitten by using one sleeping bag. Each girl chose an animal and they all tried jamming themselves into the bag. It was so funny! I hope their imagination never leavwp-comments-post.phpes them. The girls were all between 7 and 9.